There’s a new PlayStation coming. Whether it’s called the PS5, PlayStation 5 or something else remains to be seen, but there’s new gaming hardware on the way from Sony, confirmed by Mark Cerny, the key architect of the next-gen console. The PS4 consoles (both PS4 Slim and PS4 Pro) are officially reaching the end of their life cycle (that’s direct from Sony), so thoughts are inevitably turning to the PS5. And now Sony has finally started to spill the beans on what’s coming next. Even though we don’t know exactly what to expect from the PS5 (or if that’ll even be its name), we do know that the rumors, wish lists and alarmingly convincing ‘leaked’ renders in the run up to a console reveal are a big part of the fun. In that spirit, we’ve gathered together everything we most want to see from the PlayStation 5, based on what we now know from Cerny’s revealing interview, and what its stand-out features might be when it arrives. A bespoke 8-core AMD chipset based on third generation Ryzen architecture, with a GPU taking the best bits of the Radeon Navi GPU family; a built-for-purpose SSD storage system; 3D audio; backwards compatibility with PS4 games and PSVR hardware; 8K TV support. It’s all been revealed by PlayStation top-dog Mark Cerny, the man behind the construction of the PS4, and now in charge of the next-gen console’s development. While the look of the console remains a mystery, it internals are coming into focus, and they’re very promising. That AMD one-two-punch of CPU and GPU unlocks the powers of ray-tracing, an advanced lighting technique that can bring next-level immersion to gaming visuals. It’s a Hollywood technique that’s used in big-budget CGI spectacles, putting into context the level of visual fidelity you can expect. With 8K TV support comes far more detailed textures, and much larger ones at that. The news of a bespoke SSD drive will be heartening then – just because the games will be becoming more complex, that doesn’t mean they’ll be slower to load too. It’s estimated that the new SSD is 19 times faster than traditional SSD storage methods. Audio will reach a new “gold standard” on PS5 too, according to Cerny, thanks to a new audio engine that will deliver immersive sound – particularly if you’re using headphones. While the details remain unclear, expect something resembling the experience seen with a Dolby Atmos set-up. Sony remains tight-lipped about some specific plans for the PS5: the PlayStation 5 release date remains a mystery, for instance. 2019 has been ruled out, but it will definitely be revealed in the coming months, thanks to Sony Interactive Entertainment’s President and CEO Shawn Layden confirming as much in an interview with Golem.de. In addition, Sony president Kenichiro Yoshida had also previously confirmed the company is working on a next-generation console in an interview with the Financial Times. It’s been four years in the making already. Back in May, Sony Interactive CEO John Kodera revealed to the Wall Street Journal that the PlayStation 5 would not be releasing until at least 2021. That now seems a reasonable guess, debuking a report from Ace Securities that claimed the PS5 could release as soon as Christmas 2019 – earlier than the Xbox Two. One such rumor is that the PS5 could be backwards compatible with the PS4, PS3, PS2, and original PlayStation, meaning its games library could stretch right back to the glory days of the mid 90s. The PS4 element of that rumor is now confirmed, as well as PSVR support. The rest of Sony’s vintage catalogue? That remains to be seen. With no official word yet on a PlayStation 5 release date, and Sony officially confirming it won’t be at E3 2019, it’s difficult to pin down exactly when we might get to see a PS5 console. Some analysts are predicting the PlayStation 5 release date could be around 2020 or 2021, for example, while others say 2019 – so just the three-year window, then. With 2019 now ruled out by the Wired interview, 2020 seems the most realistic launch window. Speaking to GamingBolt, Michael Pachter said that though he thinks the PS5 will be a half-step and will be backwards-compatible with the PS4 Pro, he doesn’t think we’ll see it until “2019 or 2020, but probably 2019”. This speculation now seems entirely wrong – the early specs suggested by Cerny suggest a significant hardware leap forward, with the 2019 date now ruled out. More recently Pachter clarified this claim, saying that Sony would most likely release the new console in 2020. He added that at this time he thinks the PS4 Pro will become the base model PlayStation and will see a reduction in price. Sony’s new CEO, Kenichiro Yoshida, also recently released a three-year business plan for the company which predicted the company’s profits would dip in the run up to 2021. This is the kind of dip that may come as the PlayStation 4 reaches market saturation, before the launch of the PS5. Although we’re hideously impatient for news of a PlayStation 5 release date, we can’t fault Sony for taking another few years to really milk the last of the PS4, given its huge and loyal player base. After all, the PS4 Pro is still relatively new to the market and its direct competitor, the Microsoft’s Xbox One X, is an even more recent release. Thanks to recent leaks, we already know Microsoft is working on the next Xbox, which is likely to be announced at E3 2019. So it’s likely Sony is also deep into development of the PS5. If we’re honest, we can’t really see any urgent need to start a new generation right now. And given Microsoft’s growing commitment to backwards compatibility, we think it’s key for Sony to really think carefully about its next steps. Despite Yasuda’s report, a two to three-year wait make a lot more sense to us. However, it could be Sony is trying to throw Microsoft a sucker-punch from left-field by releasing earlier than expected. In addition, Slightly Mad Studios has announced it is working on a high-powered next-generation console called the ‘Mad Box‘. It’s pedigree remains to be seen, but more interestingly is the reveal of Google Stadia – a streaming-focussed gaming service from the kings of the internet. With streaming undoubtedly set to be a key component of any console going forward, Google’s expertise in internet infrastructure it them a dark horse entrant into the gaming race. Solid news on the PlayStation 5 is starting to come into shape, but as always, we do have rumors about what could be coming down the line – and we’ve collected and assessed them right here. According to a newly-uncovered patent, the PlayStation 5 may be capable of emulating the PlayStation 4, PS3, PS2 and original PlayStation, aka the PSX as well as souped up next-gen titles. Mark Cerny’s interview has now confirmed that, at the very least, PS4 and existing PSVR titles will work across generations. Gaming industry analyst Hideki Yasuda, from Osaka-based firm Ace Economic Research, has claimed in a recent report that the PS5 could arrive in time for Christmas 2019 (via T3). The report estimates that “the introduction of the PS5 will be at the end of 2019”. If this is true, then it’ll be a massive blow to Microsoft who has confirmed the Xbox Two (codenamed “Xbox Scarlett”) will not launch until 2020. However, Cerny’s interview all-but-debunks that claim. We may see a PS5 by the end of 2019, but you certainly won’t be able to buy it. 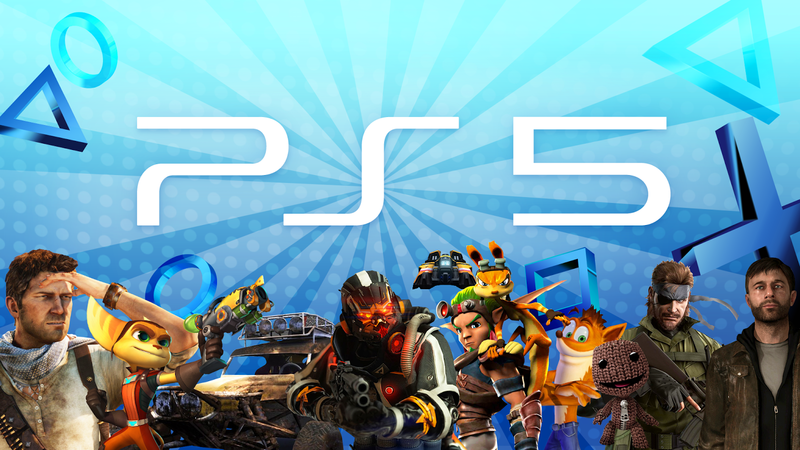 Daniel Ahmad, analyst with Niko Partners, has been in discussions with sources at first party Sony development houses, and believes that PS5 games are now the sole focus for the majority of in-house Sony teams. With dev kits in the wild, this makes a lot of sense – but Ahmad states also that the PS4 line-up has been secured for the time being too. Looking at the PS4 back catalogue, don’t be surprised then if there ends up being plenty of cross-generational PS4-to-PS5 titles, too. PlayStation’s John Kodera has been discussing the future of the PS4 at a Sony Corporate Strategy Meeting and, by extension, inadvertently creating space for prospective PS5 release year rumors. During the meeting, Kodera made it clear that Sony is still very much behind the console but warned that sales are expected to slow, in line with expectations as market saturation approaches. As a console gets to this point in its lifecycle, it’s natural to start looking forward to the next iteration. Kodera stated that the time passing from now until 2021 would be a period where Sony would hunker down – which suggests that a new big idea could be around the corner. Perhaps 2021 will be the time to expect the PS5? E3 2018 has come and gone with no mention of the PS5 during the event. Instead, Sony offered up deep dives into four big games: Death Stranding, Spider-Man, The Last of Us 2 and Ghost of Tsushima. Only Spider-Man has since released, opening the possibility for the others to jump to PS5. As for E3 2019, Sony has confirmed it won’t be attending, so if the PS5 is to appear before 2020, it’ll be at a Sony-exclusive event. A recent report from Eurogamer has attempted to narrow down a possible release date based on when technologies advanced enough to justify a generational leap will be available to Sony. The most important things that will need to advance will be the console’s processor and its memory and in both cases, Eurogamer has determined that we’re unlikely to see a new console released before the very end of 2019. Given the potentially-transformational technogies Mark Cerny has outlined, a release date beyond 2019 seems most sensible. Even if Sony did manage to push its console out more quickly, the cost of production would make the PS5 far too expensive, making it more likely that we won’t see the console released until the end of 2020, if Sony has any intention of making it an appealing proposition. Former Sony chief, Andrew House, has been speaking about what the next generation of consoles could look like at the GamesBeat conference recently. 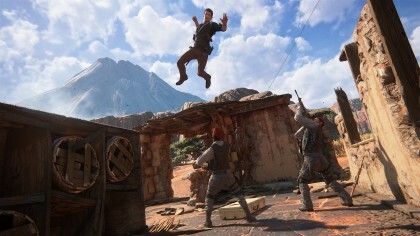 Though House refused to comment specifically on the PlayStation 5 itself, he did say that he believes physical discs will stick around for a while yet, as a result of the need to continue tapping into developing markets where downloadable titles may not be quite as compatible with limited internet infrastructure. 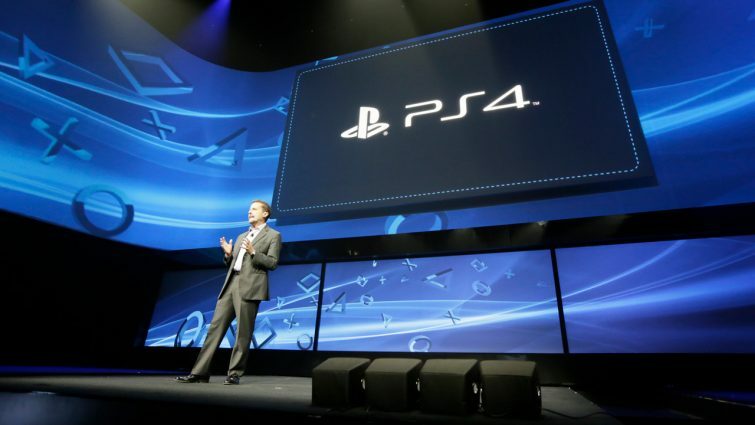 Mark Cerny has since confirmed that physical media will indeed continue to be supported by the new PlayStation. In other markets, however, he thinks that streaming games will be a big part of the next generation of consoles. House also stated that he thinks the PS4 and the PS4 Pro still have a long life in them yet. This doesn’t necessarily cancel out the rumors that the PS5 will be with us in the next one to two years; if the reports that the console will be backwards-compatible are true then the PS4 generation will remain relevant long into the lifecycle of the PS5. Regardless, given that House was unwilling to comment on the PS5 despite being pushed, these details can only be considered speculation at the moment. SemiAccurate (via ResetEra) is claiming that it’s received some leaked information on the yet-to-be-announced console and says that the number of dev kits which have been distributed suggests the console could be released sooner than expected. In addition to this, SemiAccurate also reports that Sony will use this console to push its VR efforts even further, with VR-tech baked in at the Silicon level, and will sport a GPU based on AMD’s Navi architecture with a CPU that’s potentially a custom item from AMD’s Zen line. The Navi rumors have since been confirmed by Cerny, with the Sony guru also confirming that PSVR will work with the new machine. A recent announcement in relation to the PlayStation Plus service has ignited some speculation. It’s been announced that from March 2019, PS Plus will no longer offer free PS3 or PSVita games and will instead focus on PS4 titles. 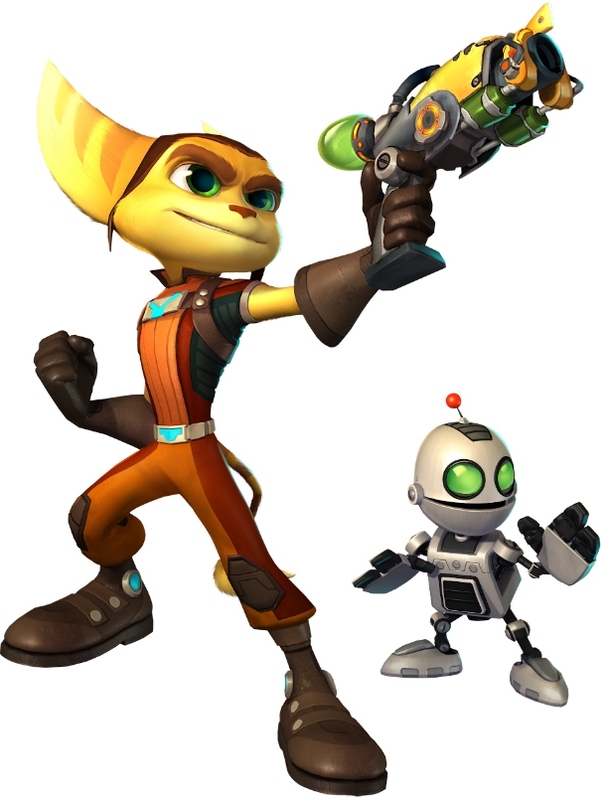 This has led to some wondering over whether or not Sony is attempting to phase out these older generation titles in preparation for a new generation. This is, of course, pure speculation but it’s interesting that Sony would be willing to reduce its game offering to only two games (as it informed Polygon) without any other excuse than wishing to focus on titles for an already highly successful console. Whether Sony is truly making way for the PS5 or whether it’s going to offer a higher quality of PS4 game is unclear and it seems we’ll have to wait a while to find out what the final plan for PS Plus is. PS5: Can we have proper 4K gaming? 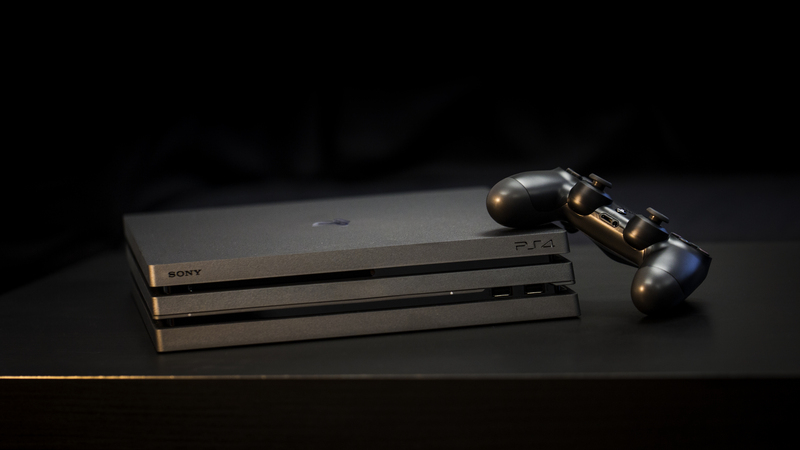 The PS4 Pro offers a tantalising hint of what 4K gaming could be like. But the stark fact remains: it still doesn’t have the grunt to do native 4K consistently. Its “checkerboard” technique of taking single pixels and using each to render four pixels in 4K resolution is clever, and it can do native 4K output, but it often has to sacrifice resolution to keep performance consistent. Native 4K support will be a basic requirement of the PlayStation 5. And, thanks to the Mark Cerny’s confirmation, 8K will be supported in some form too. But 4K base-line visuals won’t be all – it’s been confirmed that the new console will support ray-tracing graphical capabilities. The past two GDC events gave us a glimpse of what the next generation of games might look like using the technology, and it’s left us extremely excited for the PS5. Sony became the first console manufacturer to embrace virtual reality, thanks to the PlayStation VR, but if you examine PlayStation VR closely – and observe how it operates on the PS4 Pro – it invites speculation about how a PlayStation 5 console might take VR to a new level. Sony’s Mark Cerny has confirmed that existing PSVR headsets will work with the next-generation PlayStation console, but wouldn’t be drawn into confirming a PSVR 2 release just yet. Currently, PlayStation VR operates at lower resolution than the Oculus Rift and HTC Vive – but, as it stands, even its current incarnation almost pushes the base PlayStation 4 beyond its limits. Running a PlayStation VR on a PS4 Pro brings improved frame-rates, which are very handy indeed in terms of the overall VR experience, but even the PS4 Pro can’t overcome the resolution constraints set by the PlayStation VR headset. So it’s a good bet that, seeing as PlayStation VR has proved incredibly successful, Sony will want to return to the market with a second, markedly higher-tech iteration: which would provide an obvious selling point for the PlayStation 5. And if a PlayStation VR 2 headset could be sold without an external black box, it should be markedly cheaper, further accelerating VR’s march into the mainstream. 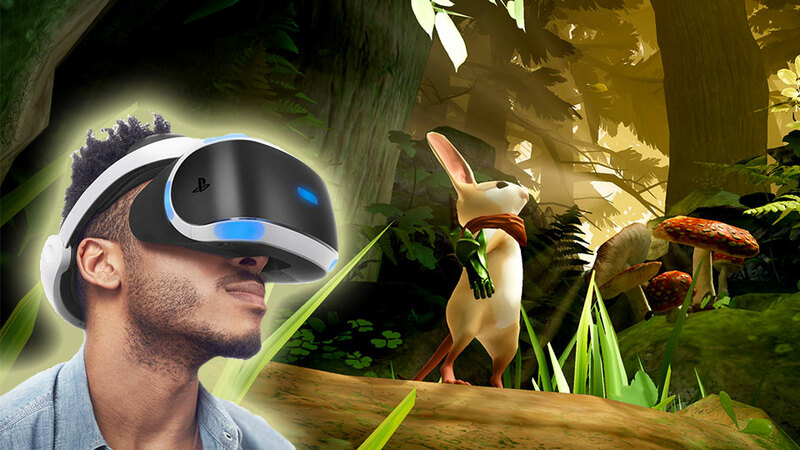 A recent report from SemiAcccurate, which claims that the PS5 will have virtual reality capabilities built-in at silicon level, suggests this will indeed be the case – a feature that was hinted at by Cerny, too. Rebellion’s Kingsley makes another good point about second-generation VR. “Anything that reduces the leads has to be a good thing,” he says. The umbilical cord which currently attaches VR headset-wearers to their consoles or PCs obviously goes against VR’s entire immersive nature, and we’re already beginning to see, for example, a third-party implementation for the HTC Vive that renders it wireless. Oculus is pushing the wire-free space forward to with its Oculus Go and Oculus Quest hardware. It’s a safe bet that the capacity for running a wireless PlayStation VR 2 will be built into the PS5. HDR and wider fields of view should be achievable but sadly, we don’t reckon full 4K VR is likely to be a possibility even for the PS5. As Kingsley points out, that would require 4K rendering per eye, which equates to 8K rendering overall, which we expect to be beyond the PS5’s capabilities. That said, perhaps Sony will find some clever technological bodge to get around that before it releases its fifth PlayStation console. Foveated rendering techniques, using eye tracking to render only the items you’re focussing on in high definition while other elements are reduced in quality, could be one potential technique used. What form will the PS5 take? It has been suggested that future consoles like the PlayStation 5 could take radically different forms to current ones, thanks to advances in cloud computing and game streaming, doing away with the components that make today’s devices so bulky. However, we reckon it’s unlikely that Sony will take a more Nintendo-like approach and put the PS5 in a tiny box. 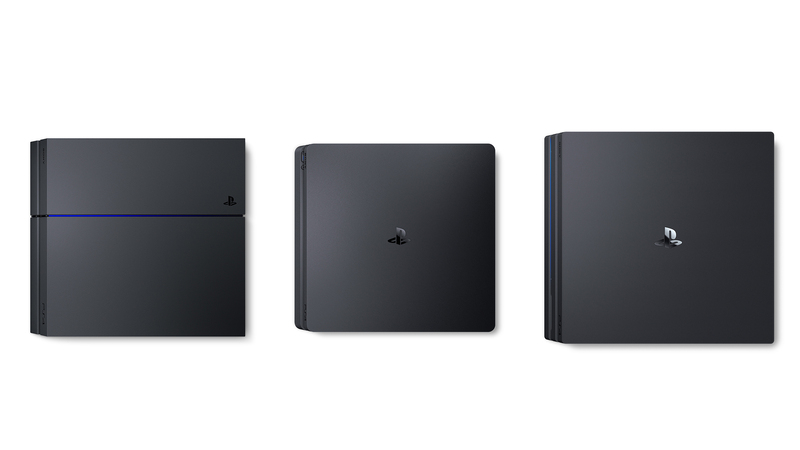 One reason for that is that with the PS4, Sony has only just committed to using what are basically the innards of a PC – the first three PlayStation variants used proprietary components (and which in the PS3 impacted sales). Developers, certainly, were massively relieved that the PS4 took the PC route. All the above are achievable, but will the PS5 still have a hard disk? It certainly will – but not the sort that you know currently. Sony has confirmed it will be employing a bespoke solid state drive in each PS5, allowing it to increase loading times by an estimated 19 times compared to existing SSD technology. It seems certain that Sony is very keen to hear what its community thinks – recently a group called PlayStation Voice sent out surveys to members of its closed community asking them what their expectations of the PS5 are. One community member posted the email they received and found themselves removed from the group for breaking its non-disclosure agreements. According to PSU, PlayStation Voice is a community run by third-party consumer insight agency, Join the Dots. Once information has been gathered, it’s fed back to clients (the client in this case presumably being Sony PlayStation). Admittedly, this doesn’t tell us much about PS5 itself, other than that things are likely to be still in the very early stages. While it’s unlikely that Sony would use the information gathered from its communities to decide exactly which features will be included in the console, the ideas of fans can certainly spark a good deal of inspiration. 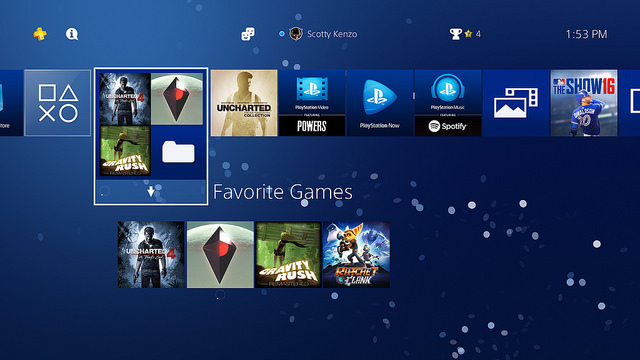 Of course, if games were just streamed to the PS5 that high-res texture storage problem would disappear entirely, and Sony already has a game-streaming service in the form of PlayStation Now. One of the biggest issues here remains around broadband speeds. Even 4K TV requires a minimum of 25Mbps broadband in order to provide satisfactory streaming, and it’s doubtful whether 4K game streaming – with extra information on top of the visual side – would even work reliably at such speeds. There would be nothing to stop Sony launching a small form-factor cloud-based version of the PS5 console for those with mega-fast broadband, perhaps with a mobile phone-style subscription model that has an upfront hardware costs (something Microsoft is thinking about). But for the PS5 to sell anything like its predecessors, there would have to be a conventional version with similar innards to the PS4, which going from the Cerny interview appears to be the case. PS5: optical discs or not? The rise of downloadable games, which continue to eat into the physical disc market, means that pundits have been predicting that consoles will go discless for about a decade now. However, PS5 won’t be the first system to risk venturing down that road, with physical media still confirmed to be supported. Sony has taken a lot of (justifiable) flak for not putting a 4K Blu-ray drive in the PS4 Pro – making it a less attractive purchase for film and TV buffs than the Xbox One S or the Xbox One X. Surveys continue to show that gamers are still attached to the possibility of buying games on physical discs – not least because they can then sell them (a practice that the games industry hates), and keep hard disk space usage at a manageable level. If Sony were to axe the Blu-ray drive from the PS5, gamers would expect several terabytes of storage in compensation. Download figures have been on the rise over the last year but EA CFO Blake Jorgensen has said that he thinks consoles and disc drives will continue to stick around. “Consoles and disc drives probably stay around for a long period of time […] I think it’s the consumer deciding what’s the easiest way for them to buy a game. So when can we expect the PS5? Given that the PlayStation 4 was launched in 2013 and Sony’s previous consoles arrived in six-year intervals, it would have been easy to project that it would launch the PlayStation 5 in 2019 at the earliest. The sort of technology available then should easily allow full native 4K games without saddling the PS5 with a massive price-tag and, by 2019, 4K TVs will be the norm, rather than the exception, in the average household. It appears, however, that Sony will be taking at least an extra year to refine its product and for the hardware it requires to mature. 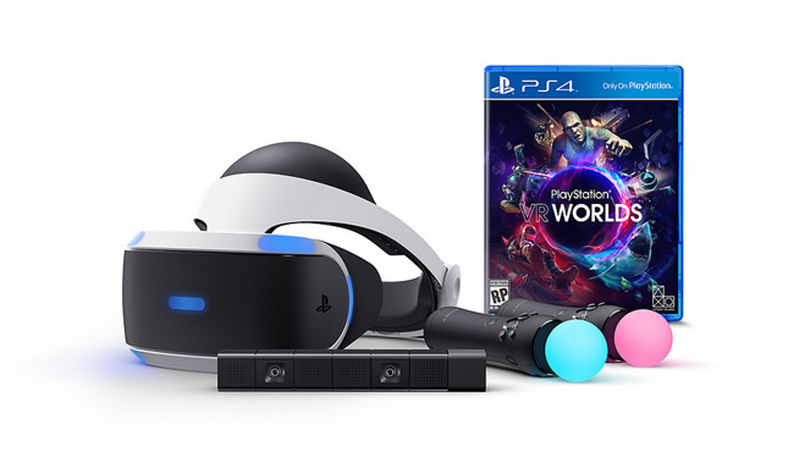 So perhaps 2020 might be the year in which Sony unleashes the PS5 on the world, as the first native 4K console with wireless VR… as long as Microsoft doesn’t get there first. What games can we expect to see on PS5? The entire PS4 library, including PSVR games, will be supported by the PS5. That much is known. But there are now games being developed specifically for this new PlayStation 5 console generation and the extra power it’s likely to offer. 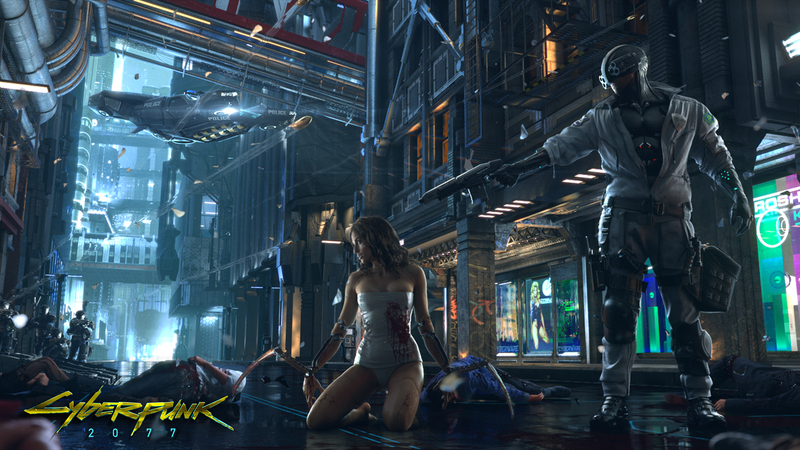 Already we’ve seen CD Projekt Red mention that it’s developing for this generation as well as the next, and alongside the rumors that there are already developers kits out in the open, we think there’s a good chance that Cyberpunk 2077 will be one of the early PS5 titles. Likewise, a knowing glance from Cerny during his Wired interview pointed towards Hideo Kojima’s Death Stranding being a cross-generation title, too. At this point, any first-party PS4 game in the pipeline – from Ghost of Tsushima to The Last of Us 2, would be prime candidates for PS5 cross-gen upgrades. And, given the success of God of War, Gran Turismo and Horizon: Zero Dawn, it’d be crazy to assume anything but the possibility that their successors will be heading to the PS5. Either way, given what we now know about the PS5, the future of gaming with PlayStation seems very bright indeed. Check out our PS4 vs PS4:PSVR compared and explained video below. Tired of future-gazing? 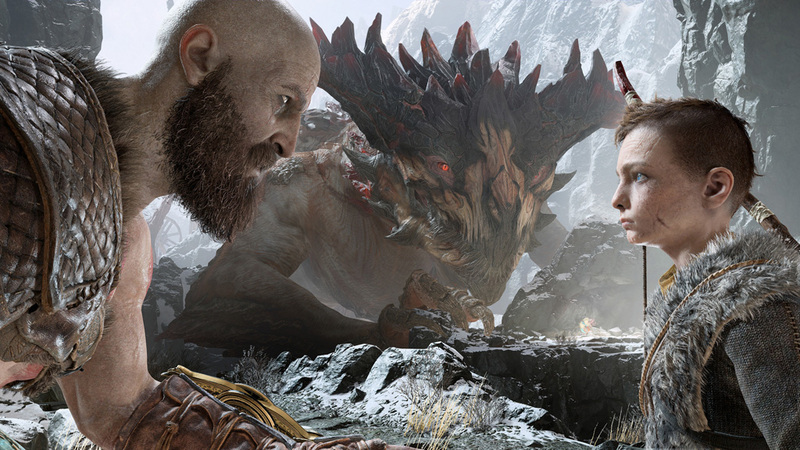 Why not check out the best games on the PS4 right now. Already got a PSVR? Follow these steps to jump into virtual reality.